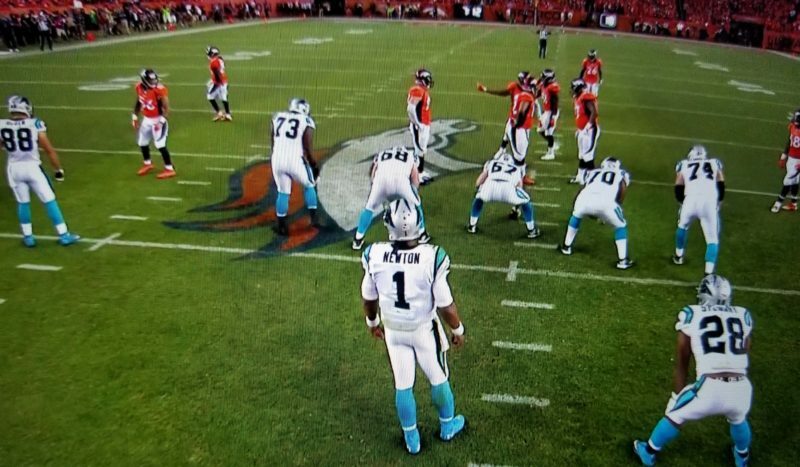 You can bet that Cam Newton has been thinking about this game for about 214 days. That is, ever since the Broncos surprise win in Super Bowl 50. But Peyton Manning has retired, and 2015 7th round pick Trevor Siemian, who had one NFL play to his name, is the new starting QB. Ultimately, the result was essentially the same, as the Broncos won a close one 21 to 20 on a last second missed 50-yard field goal by Graham Gano. Kelvin Benjamin looks to have picked up exactly where he left off in 2014, where he had 1,008 yards and 9 TDs, as he caught 4 of 8 targets for 62 yards and a TD, one of which had him shed a Bradley Roby tackle and rumble on for a first down. In fact, he was targeted on 8 of Cam Newton’s 17 pass attempts in the first half. Clearly, he’s still Newton’s favorite. In fact, only Greg Olsen was targeted more than once in the first half (5). All the hype concerning Devin Funchess and his growing role from 2015 seemed to take a back seat in the first half, as he only was targeted once, which he caught for 9 yards. In fact, that ended up being his only reception of the game on 4 total targets. 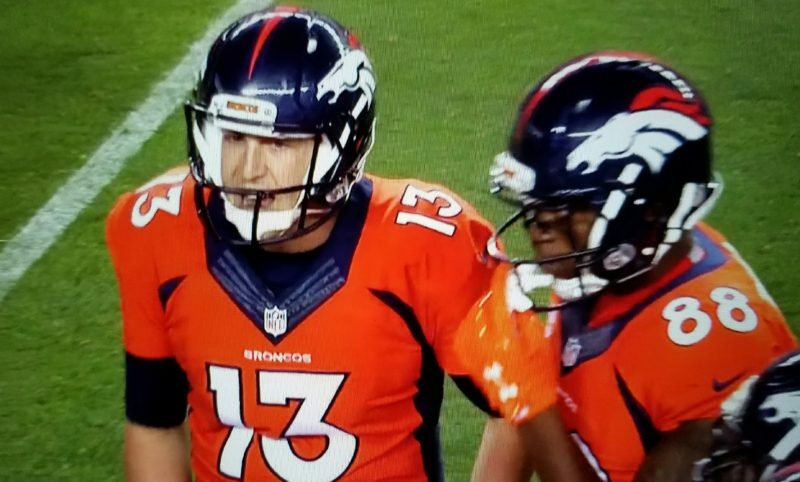 Trevor Siemian looked OK, but for the tip interception. He was an 8 of 12 for 92 yards, and could have scored on the first drive but for an inopportune fumble by rookie Devontae Booker on his first NFL carry deep into Panthers territory. 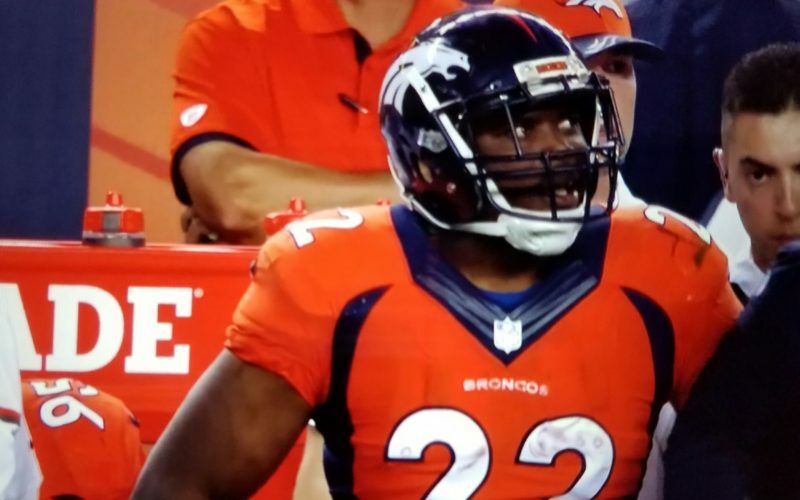 CJ Anderson looked fine with 9 carries for 52 yards. But fullback Andy Janovich got the 28 yard TD run with his first NFL carry. Anderson will remain the lead back though, particularly after Booker’s fumble. Jonathan Stewart had 9 carries for 39 yards, but Cam Newton ate into his workload with 7 carries for 40 yards and a TD, as well as Fozzy Whittaker who had 3 carries for 13 yards. So he ended up with less than half of the Panthers’ rushes. Looks like Stewart might help Newton’s rush stats more than his own. Trevor Simian got off to much rockier start in the second half when he threw another pick deep in Panthers territory. Clearly, he doesn’t have the arm strength to scramble and get the ball downfield when under pressure. But he did have a couple decent plays down the line that should be enough for him to keep his job as a game manager. Mike Remmers did a much better job keeping Von Miller in check as compared to the Super Bowl. But then Von Miller pulled out a key sack before the end of the 2-minute warning with the Broncos leading by just 1 point. An illegal hands to the face penalty against the Broncos basically nullified the impact on the next play, but it was an important sack nonetheless. Virgil Green was impressive taking over as the primary TE in Denver, as he snagged 4 of 4 targets by the end of the 3rd Quarter. CJ Anderson maintained his lead back status getting the bulk of the carries, including a terrific catch and run 25-yard TD and 1 yard dive for another TD. The Chris Harris tip drill interception in the beginning of the 4th Quarter leading to a Broncos TD, and their first lead of the game, was a huge momentum shift in the game. The Panthers never recovered. 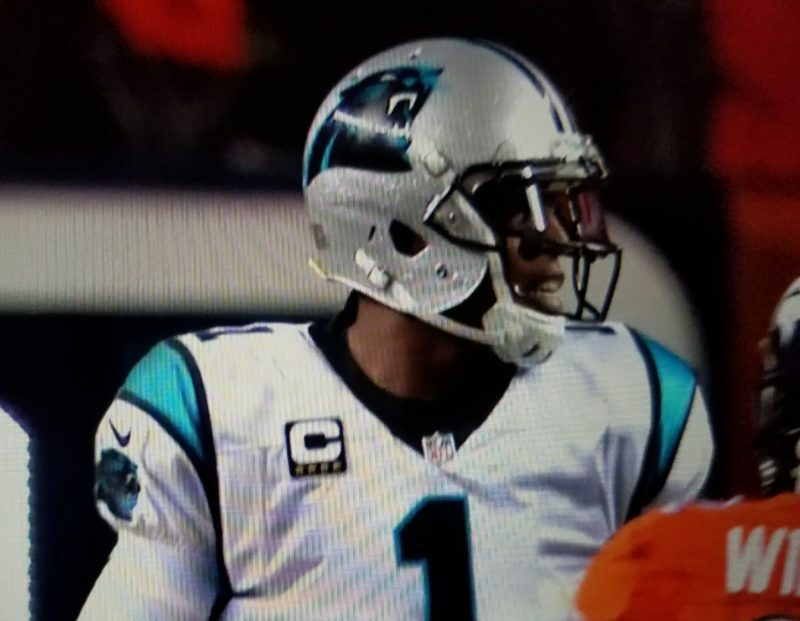 Cam Newton looked great in the first half, looked terrible in the 3rd Quarter, perhaps due to an uncalled illegal helmet-to-helmet hit, but then picked it up in the 4th Quarter. The interception wasn’t his fault, and his final line of 18 of 33 for 194 passing yards, 1 passing TD, 54 rush yards and 1 rushing TD isn’t terrible. But most of that production was in the first half, which is concerning. And burning the last time out with just 1:19 to go because they couldn’t get out of the huddle fast enough was terrible. A late dirty personal foul helmet-to-helmet by Denver could have added to his issues. He did manage to get them in line for a last second 50-yard FG, which Gano missed, but one has to wonder if he could have done better but for the hits. At the end of the game, the Panthers looked like the better team in the first half and overall, but the Broncos won the game. Give credit to the Broncos defense, but for the two hits on Newton, and to CJ Anderson for carrying the Broncos offense, but the Panthers should bounce back later in the season. As for the Broncos, as long as Siemian can limit turnovers, they have a shot at their division or a wild card. But I don’t see them dominating as they once did.